Caroline Veyre was the first Canadian to break the ice in the competition and for her first bout, she squared off against Carolyn Calungsod from Philippines. Facing a less experienced boxer, Caroline quickly adjusted and grabbed the first win for Team Canada in the competition. “It was a good first bout. It took me a little bit of time to get started, but I quickly found my timing and I clearly dominated my opponent,” said Caroline after her first bout. Advancing to the second round of the preliminaries, the Montreal boxer was back in action for the second day of the World Championships. For her second bout, Caroline was facing Kinga Szlachcic from Poland who had obtained a bye in the first round. Despite her aggressiveness and constant pressure, the Polish boxer was unable to beat the Canadian and lost a 4-1 split decision to the Canadian. Caroline remains undefeated after two bouts at the Championships and with a rest day tomorrow, she will return in the ring on Sunday, November 18th against Denitsa Yordanova Eliseeva , a Bulgarian boxer ranked 7th in the world. 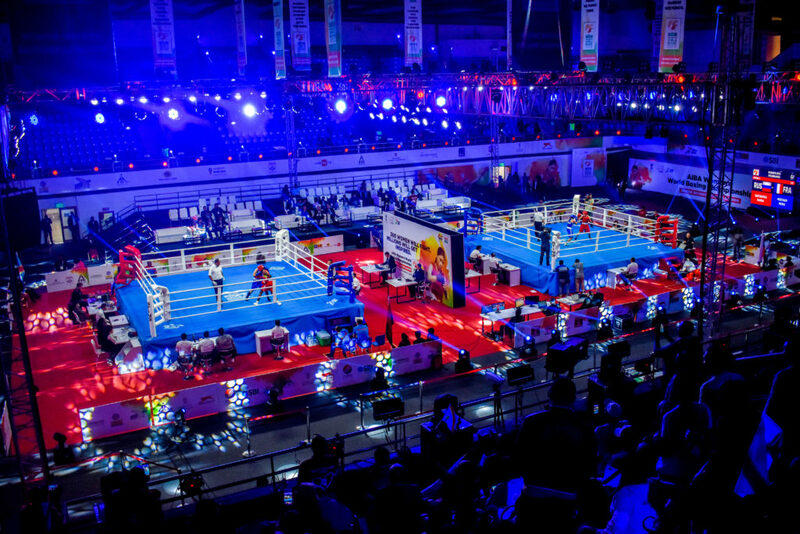 Myriam Da Silva made her debut in the competition on Day 2 of the Women’s World Championships and for her opening bout, she was facing 2018 Commonwealth Games silver medallist boxer Ecclees Rosie Joy from Wales. In an explosive bout, the two boxers exchanged powerful blows until the closing bell. According to Myriam, the wait was long before the start of the competition, but now that the ice is broken, the competition will progress quickly. Her next bout is on Sunday, November 18 against Shakhnoza Yonusova from Uzbekistan.